Per the Seller: Hull and interior are in excellent condition. The outdrive has approximately 25 hrs on it EZ Loader tandem axle trailer has very recently been completely reconditioned Stock #172997 1995 Chris Craft 23' Concept Bow Rider completely reconditioned, new paint, wheels and tires (incl. 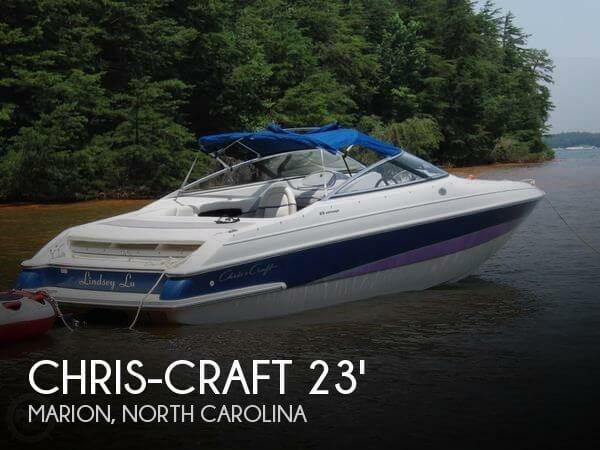 spare), electrical and all new lights, new spindle If you are in the market for a bowrider, look no further than this 1995 Chris-Craft Concept 23, just reduced to $15,649 (offers encouraged). 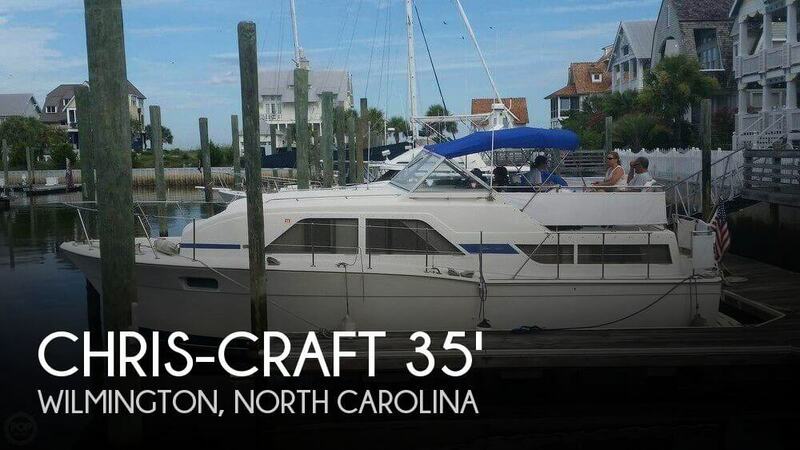 This boat is located in Marion, North Carolina and is in great condition. She is also equipped with a OMC engine that has only 10 hours. Reason for selling is bought another boat. Per seller all of the instrumentation is working properly. The cushions are without stains or tears. Carpet is original 3" shag carpet. Original flag decal is in terrific condition. The chrome has been replated and new engine hoses installed. Includes a new 2017 Load Rite trailer with spare. Stock #171464 Beautiful original paint, interior and 454 Big Block Chevy! 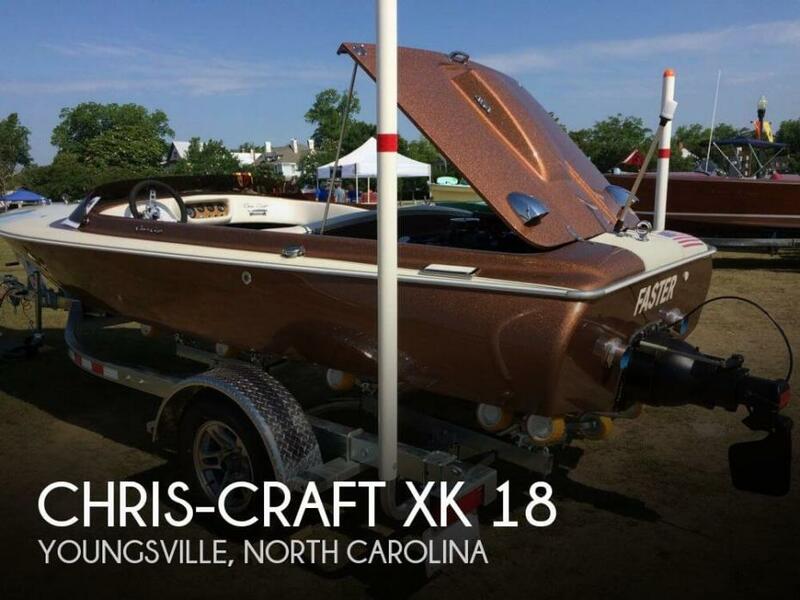 If you are in the market for a runabout, look no further than this 1973 Chris-Craft XK 18, priced right at $28,750 (offers encouraged). 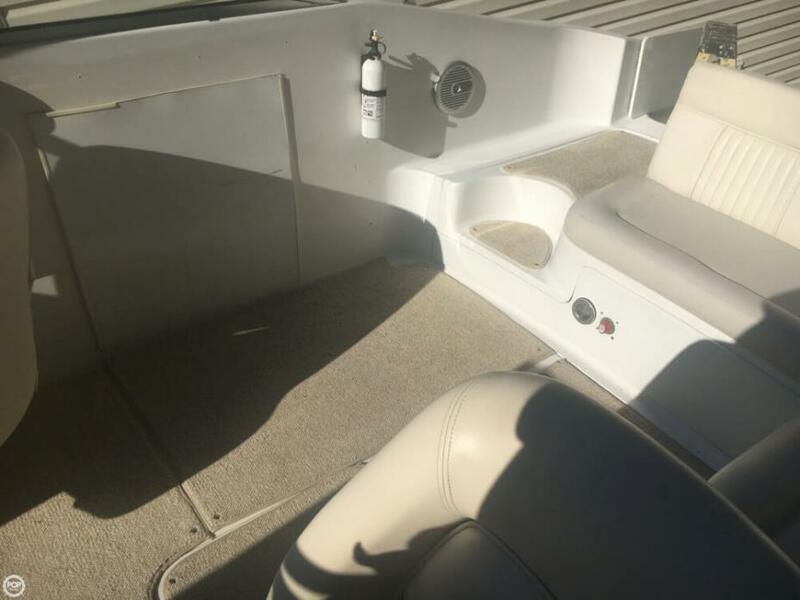 This boat is located in Youngsville, North Carolina and is in great condition. She is also equipped with a Chris-Craft engine. Reason for selling is has other projects. Stock #165747 Classic beauty with all original mahagony and original flat head motors, sunbrella full enclosure, well maintained! If you are in the market for an express cruiser, look no further than this 1955 Chris-Craft 33, priced right at $20,500 (offers encouraged). This vessel is located in Belmont, North Carolina. She is also equipped with twin Custom engines. 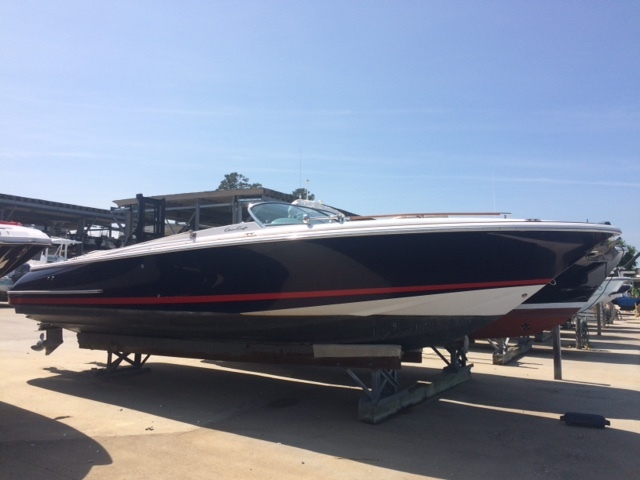 With a wash down and a little wax this Chris-Craft 240 BR Bowrider will be shining like new, and according to the Seller she will "provide a lot of fun times for the next owner, she's ready to hook up and drive to the water, get in and go!" Interior is in good shape overall. She's been kept on her trailer and under cockpit and bow covers. All vinyl and cushions appeared to be in better than average shape for their age. The interior fiberglass, including dash and walk-thru bow door, appeared to be in a quite good shape. Custom Snap-In Carpet was installed just a few years ago and that was apparent. An additional section of matching carpet was installed to include the area where the cockpit sink was removed. Exterior fiberglass shows average signs of sun and weather exposure in areas not under cover on the top side. 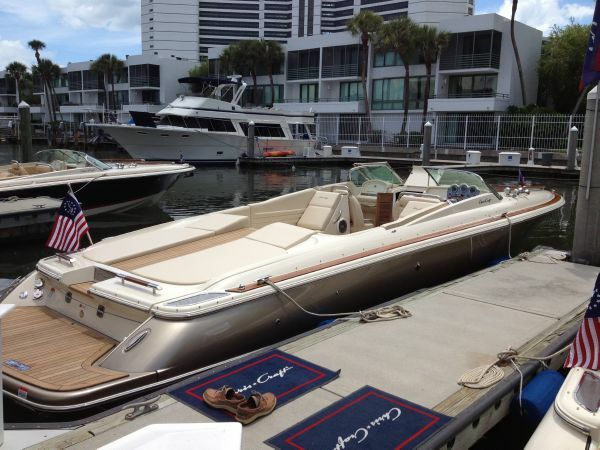 Stock #134240 Very nice 1999 Chris-Craft 240 Bowrider! If you are in the market for a bowrider, look no further than this 1999 Chris-Craft 240 BR, just reduced to $15,500 (offers encouraged). 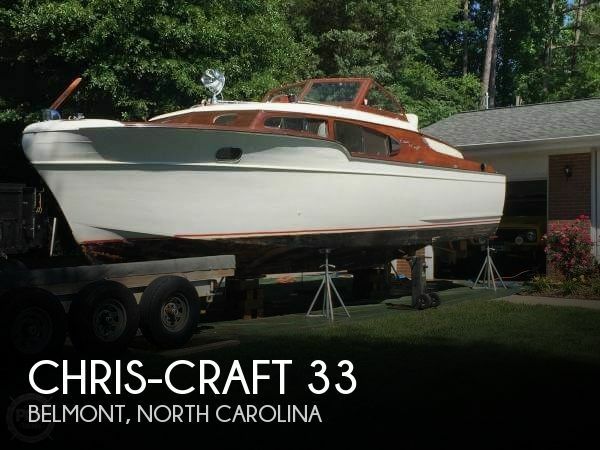 This boat is located in Mooresville, North Carolina and is in decent condition. 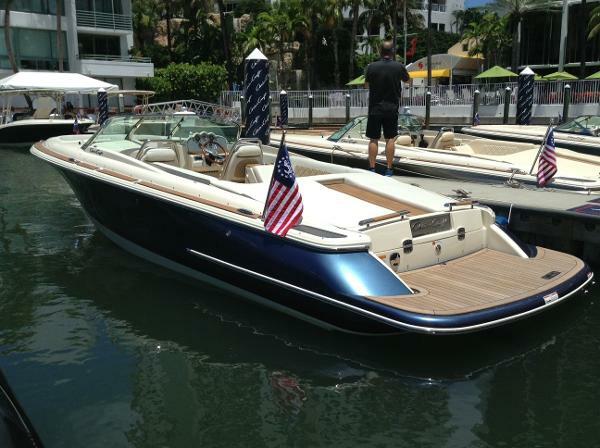 She is also equipped with a Volvo Penta engine that has 552 hours. Reason for selling is changing careers and it's time for the next owner to enjoy !. Overall in above average condition. This Chris-Craft only needs a nice deck wash, and it's ready to go. As per owner: All mechanical and electronic components are in good working condition. The generator is in unknown functional shape, not used in a while. Captain's chair shows sun discoloration. Normal wear and tear for age. Stock #145193 A Classic! As clean as they come! Ready to go! If you are in the market for an aft cabin, look no further than this 1978 Chris-Craft Catalina 350, just reduced to $19,500 (offers encouraged). 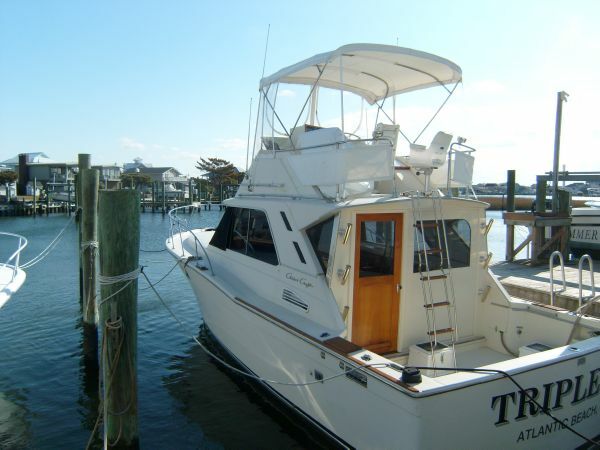 This vessel is located in Carolina Beach, North Carolina and is in great condition. She is also equipped with twin Marine Power engines that have 1,711 hours. 2003 Chris Craft Corsair 28 Beautiful Chris Craft Corsair 28. 2nd owner. Always kept at marina on dry dock. Twin Volvo engines 300hp each, maintained by Volvo mechanics in Wilmington, NC. Boat is being inspected now by Volvo mechanics to be ready for the season. All maintenance invoices available. Great boat overall. 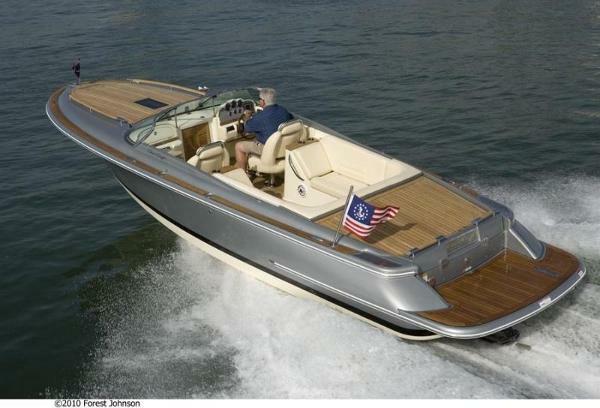 Full teak package Fiberglass hull Contact Olivier at oarraou@gmail.com or cell: (919) 612-3964. Thank you. 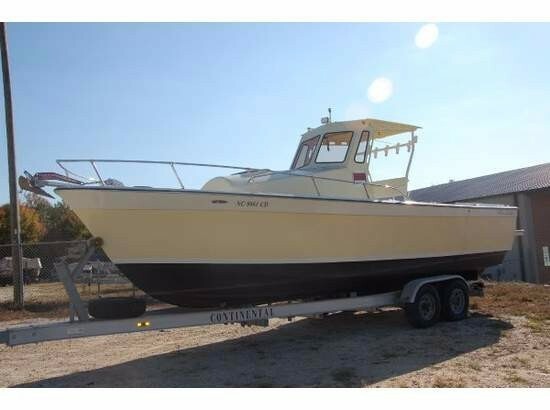 1972 Chris Craft 6BTA 5.9M A turn key Sportbridge Classic - 2003 Cummins Diesels with less than 600 hours. Diesel generator. Air conditioning. Fish the Big Rock all day on half a tank of fuel - A quality built vessel!!!! 2017 Chris-Craft Carina 21 Another head turning masterpiece from Chris Craft. 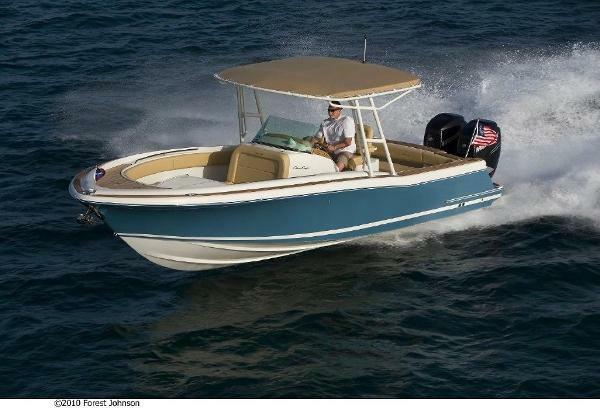 Come see this brand new exceptional boat. Contact one of our local offices to arrange a personal preview. 2017 Chris-Craft 32 Corsair "The Launch 32 is the logical next step for the active boater that still wants a bow rider but also wants the option to overnight at a moment's notice." The Launch 32 offers an ample aft sunpad, sleep-in cabin and convenient head to accommodate all the comforts that your family and guests deserve. Sleek proportions and practical configuration make this Launch well-suited to long excursions but still remains practical for champagne cruises. .
2017 Chris-Craft Capri 21 The legacy of Chris-Craft can be seen on the water today in this beautiful vertical bow model that showcases the history and progression of a company that has been building boats for 140 years. 2017 Chris-Craft Launch 25 Newly redesigned, the Launch 25 is an ideal mid-size day boat for the family. It offers a spacious main cockpit and bow seating area. A more generous seating area, including full aft U-shaped seating, makes this bowrider well-suited to long trips and excursions. While the Launch 25 is versatile and comfortable, it is also easy to drive. This boat is equipped with the Mercruiser 350 MAG, with 300 hp, and a Bravo III Duo Prop for excellent performance and precise control. With this much power at your fingertips, getting away from it all is effortless. 2017 Chris-Craft Corsair 28 BEING BUILT - STILL TIME TO CUSTOMIZE.Improving on perfection is possible - the Corsair 28 proves it. With more luxurious touches than ever before and supremely elegant lines, the Corsair 28 sets unequalled standards for performance and quality. The large forward cabin provides many options for you and your guests. 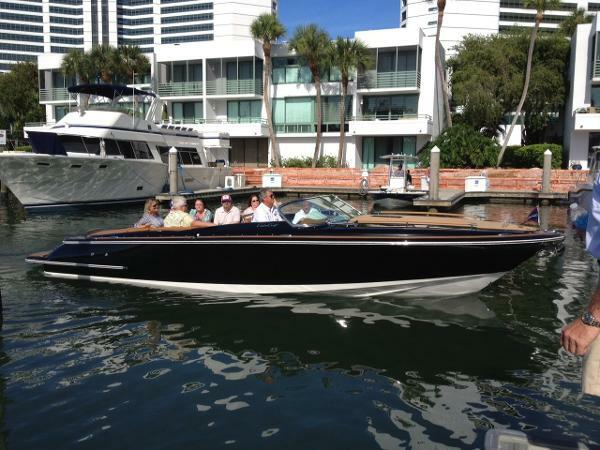 No other boat is better for escaping quickly and arriving in style.